Cheers to Christmas ales, the beer style that, well, isn’t much of a style as it is a merry, cheery category of seasonal beers. Lagers, ales, porters — it doesn’t matter much as long as it tastes like holidays of yore. While not a brewing style, there are still some particular guidelines that a Christmas ale must meet. According to the Beer Judge Certification Program, the beer’s aroma must invoke any “combination of aromatics that suggests the holiday season is welcome,” and should be “reminiscent of Christmas cookies, gingerbread, English-type Christmas pudding, spruce trees, or mulling spices.” Furthermore, the BJCP advises the beer should taste rich and malty, which may include caramel, toast, nut, or chocolate flavors. Dried fruit like fig, plum and citrus peels are a nice addition, too, as are flavors like molasses, honey and brown sugar. And even still, a “light spruce or other evergreen tree character,” is an option. Basically, just throw a tray of cookies and some garland into the brewing tank and see what happens. Then came Prohibition. The holidays were a little less merry and bright until its repeal in December 1933, a delightful gift to the nation’s tipplers indeed. Breweries continued to release special holiday beers, but it would be some 40 years before the American Christmas ale really took off. Enter Anchor Brewing’s 1975 “Our Special Ale,” which made spiced, holiday limited edition beers a custom. 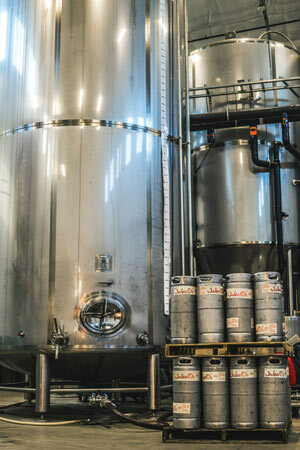 The beer still is produced seasonally today, albeit without the same ingredients. 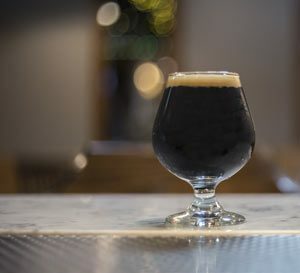 The recipe changes every year, but the intent of creating a beer that embraces what Anchor calls the “joy and celebration of the newness of life,” has remained. Anchor’s Christmas Ale, of course, isn’t the only legend on the market. Great Lakes Brewing Company’s Christmas Ale is one of the literal champions of winter seasonal beers. Their six-time World Beer Championships medal-winning ale features a familiar taste with all the comforts of home for the holidays. The Cleveland brewery’s famous beer brings in notes of fresh honey and cinnamon, plus powerful sense memories of gingerbread cookie. The rich copper color and medium body are accentuated under the twinkling lights of your living room tree. Another Ohio brewery, Thirsty Dog Brewing Company, out of Akron, packs a one-two punch with their holiday brew. The 12 Dogs of Christmas has a light-to-medium body, hazy and orange like the glow of your fireplace on a winter’s night. The toasted and caramel malts come together with honey, cinnamon, ginger and nutmeg. It also comes in special edition barrel aged style for extra depth on extra cold evenings. Orange and copper tones give way to reds in several Christmas ales. Tröegs Brewing Company’s Mad Elf has cheeks like roses and a nose like a cherry. This ruby red ale is complex and sweet, with strong ripe cherries, raw honey and cocoa, hinted with flavors of cinnamon, clove and allspice born out of a feisty phenol-producing Belgian yeast strain. Citrusy, mildly bitter hops balance this Pennsylvania ale’s dark fruit flavors. Not to be outdone, from the peaks of North Carolina comes Highland Brewing Company’s Cold Mountain Winter Ale. This moderately creamy ale is red with a hint of caramel-colored undertones. It’s lightly hopped, and big on brown sugar and spices like nutmeg, vanilla and ginger, plus hazelnut and toast. It is robust, yet balanced; perfect for an all-night present wrapping session. We’re looking forward to what merriment 2017’s winter season brews have in store. Cheers to the holidays and the beers that help get us through them!